Anyone choosing to grow with a hydroponic system has to think carefully about the substrate they plan to use. These days there is a huge range available for the soilless grower. The most common are rock wool, expanded clay pellets, coconut fibre (coco), several turf mixes, lava stones, perlite and vermiculite. Of course, it is important to choose the one that most fits your grow system. But do you really even need a substrate? What does a substrate do, in fact? How does it work? There is a misconception among growers that the task of the substrate is only something to do with the relation between air and water in the root system of the plant. In reality the role of the substrate is barely 15% responsible for the growth of the plant, and the other 85% is in the hands of the grower. A substrate is a medium in which the plant grows. It is mostly a single, sometimes a combination of materials that handle the support, aeration, holding onto water and distribution to the plant. Actually, as far as the plant is concerned, the substrate must hold water, oxygen and nutrients, drain correctly and remain neutral so that it does not interfere with the development of the plant. For thegrower, the substrate must also react to a number of other factors: it must be reliable, economic to use, and light. It must be easy to work with and to dispose of. Ideally it should not be polluting and be biodegradable. And if you’re a perfectionist, it should also be natural. Do I have to use a substrate? Some find all these parameters very tedious to try and bear n mind and stick to. So the next question is how necessary is the substrate anyway? Can you operate without one, or at least with one reduced to the bare minimum? This is where aeroponics or aero-hydroponics starts to pique their interest. This technology gives an answer to precisely these questions, and answers them quickly: no (or little) substrate any more! No more hauling sack after sack up stairs, no more fly tipping van loads of used materials, no infestations related to the substrate, no huge masses of stuff to clean and lug back and forth. What are aeroponics and aero-hydroponics? But what are aeroponics and aero-hydroponics? Have you ever seen a grow system that sprays the feed solution as a fine mist over the roots system? This is an aeroponic system, a technique whereby water is delivered by a high-pressure nozzle. This technique is not often used in its pure form. Although some companies like to call their systems “aeroponic”, you would normally only come across such set-ups in research institutes and universities. Aeroponics has its advantages and disadvantages. It saturates the feed solution with oxygen, giving the roots a very healthy environment, and the most interesting application is its use in plant propagation. But if you want to keep the plant until it’s ripe you will notice that the root zone develops too quickly and too profusely, to the disadvantage of the air-based part of the plant. This is not normally what we’re growing for – cannabis is not a root vegetable. Even if you do want to grow root vegetables it is not always practical because with aeroponics, the roots tend to remain soft from being constantly immersed in water and never develop the crisp quality you look for in a root vegetable such as liquorice root. Aero-hydroponics is a modification of aeroponics. It actually started out in the mid-80s in California, where Laurence Brooke decided to try and bring aero-hydroponics to the mainstream market. He began with “EGS” (Ein Gedi System), a unit developed at Davis University in California for studying the level of oxygen in water, which Brooke transformed into the best propagation unit to date, the “Rainforest”. This unit sprays water from a nozzle onto the roots, not in the form of a mist but more as swivel spray. These days there are many variations of aero-hydroponic system on the market, some are efficient, others less so, depending on the experience and knowledge of the manufacturer. You can even build your own system with a little bit of help from the many magazines and books there are these days in the hydro stores. In aero-hydroponics the water becomes saturated with oxygen by a number of methods: spraying, injection, or waterfall. It relies on a pump that squeezes water through different irrigation pipes and sprinklers, before falling back into the reservoir. A well-designed aero-hydroponic system must strike a good balance between the various components, the correct proportions between the different water currents and the forms of the various parts (hoses, reservoirs, sprayers and irrigation devices). Neither aeroponics nor aero-hydroponics needs any (or very little) substrate. 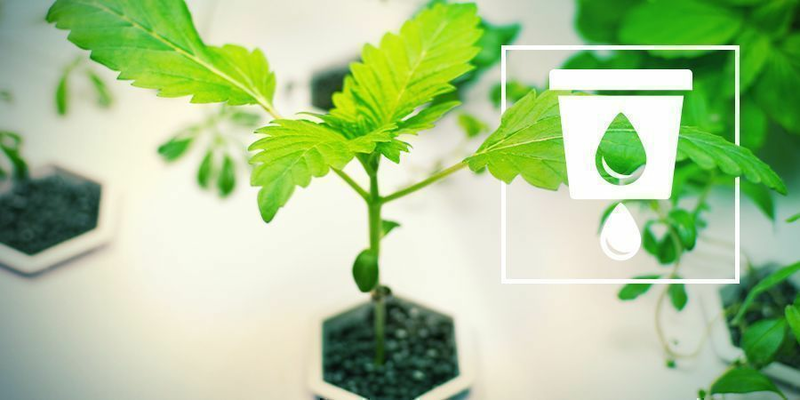 They only need some way of supporting the plants, usually in the form of small coco pots, plastic nets, or simple rubber rings, and have just water as a substrate. Now all that’s left is the water and the grower. One thing you do know for certain is that you have eradicated most gruesome problems from your substrate, but you're probably wondering whether there are other problems that might be just as difficult... No, not really. 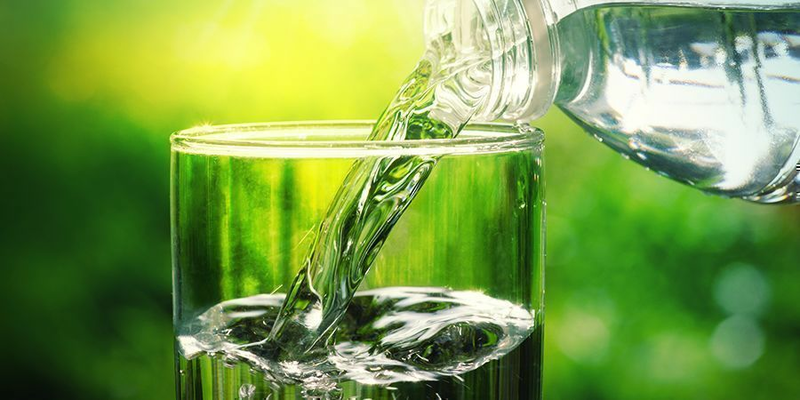 To safely exclude the traditional substrates altogether, you do have to absolutely sure of your water supply for the plant, good air management, and a neutral environment. In aeroponics and aero-hydroponics this is the “basis”: perfect, well oxygenated water being provided for the roots and good drainage is ideal. When this is said and done, the rest, once again, is in the hands of the grower. 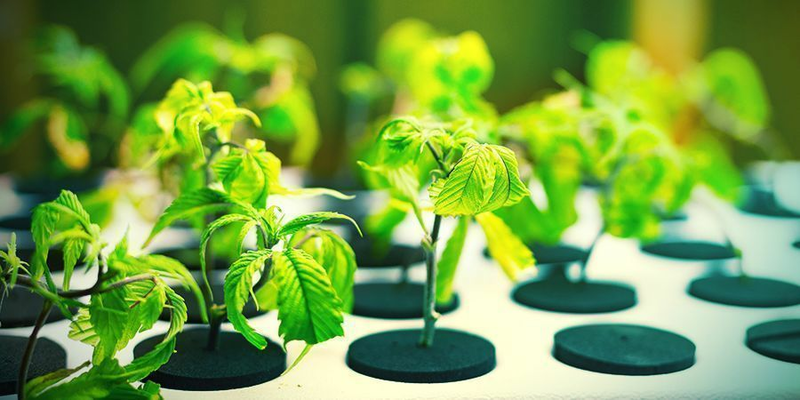 He has to make sure that he has a well-balanced, comprehensive nutrient solution, the right EC and pH, good ventilation, temperature, air moisture and hygienic working methods, just as you would need were you growing any other plant or using any other growing technique. Some people think that aero-hydroponics is a difficult technique, and to a certain degree they are right. The only real benefit of a substrate is to act as buffer capacity. What that means is that unlike water, where bare root parts hang unprotected, the substrate completely encircles the roots and therefore will protect them from changes in climate such as temperature or air moisture, or other “accidents” that can happen. That’s why beginners are usually recommended to start with a substrate system and later step over to an aero-hydroponic system once they’ve built up some experience. Some manufacturers offer a “duo” grow system, with a special kit with which you can switch from a “substrate system” to a “non-substrate” system, as you gain more confidence. They guarantee quick and free technical support and offer service to their customers. You can even as a beginner choose for aero-hydroponics, if you think it sounds your thing. Follow the instructions that come with your grow systems and you will see how simple it is. And don’t forget that whichever technique you choose, it is not the system or the nutrient alone, but the grower who is responsible for a healthy development. Recently in Berlin I had the pleasure of meeting Melchior from the Dutch firm High Five. Like most Dutch growers he used the traditional rock wool and drip system, and he was happy with it. Last year an Australian friend of his left behind a small aero-hydroponic system, a miniature replica of an “Aeroflo” system. Melchior played around with it for a couple of months and was absolutely convinced. His plants looked perfect, equal and matched to one another. His harvest was marvellous, much better than he had had in years – and he’s a bona fide experienced grower. One of his greatest satisfactions was not just the outstanding harvest he achieved, but to have finally got rid of all his substrate with all the problems it had brought with it. These days Melchior is the first Dutch distributor to bring aerohydroponics to the local market. Let’s see what this excellent grower can achieve! The definitive guide to the advanced hydroponics systems and technologies that are proven to deliver the heaviest marijuana harvests for home growers. Q1 – In the instructions about substrates I read that the clay granules have to be washed. But do I need to wash new clay granules too? A1 – Not all clay granules are the same. Most of the ones you can buy for growing with are pH stabilised, and this is something you have to test until you find a brand that you’re happy with. It is an easy test to do: drop a handful of granules into a container, fill the container with tap water adjusted to pH 6, let them soak for a night, and the next morning check the pH again. It will never be perfect, the pH will rise a bit, but it should not go over 7 if the clay granules are good. Don’t use distilled or demineralised water for this experiment. They have no buffer capacity and I suspect that each type of stone will raise the pH to unacceptable levels. If the new clay granules do raise the pH to unacceptable levels, then you have to let them soak for a night in an acid solution. Use phosphoric acid or nitric acid with a pH of 1 to 3. Again, don’t work with the expectation that the pH will be perfect. 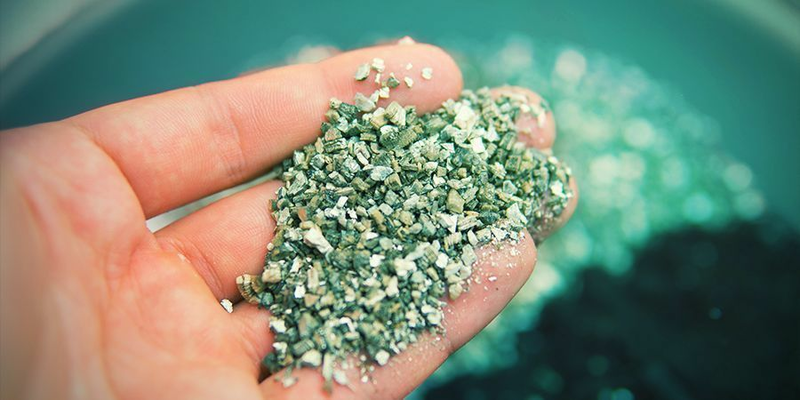 There are more x-factors than just the clay granules that have an effect on the pH of the solution, even before the plants have been added to the system. It is normal that in the first couple of days the pH will continue to rise. You will have to add small amounts of acid each day before you reach real stability. There are pH regulators on the market with buffer capacities that can help the pH to stabilise. Besides the pH problem, most clay granules are very dusty. They are covered with a layer of fine clay particles. These particles can clog your dripper tubes or pump inflow. It is better to wash the granules before you use them. An easy way of doing this is get a cheap plastic bucket and bore holes in the bottom. Put the clay pebbles in the bucket and pour water over them; the clay particles will be washed away. This procedure is enough to prepare your clay substrate. If you’re not concerned about possible blockages and not put off by the red water (it doesn’t damage your plants) you can skip the wash, but you will still need to stabilise the pH to ensure the success of your growing adventure. Q2 – It is advised that you stop growing indoors during the winter months, when the outside temperature is colder. 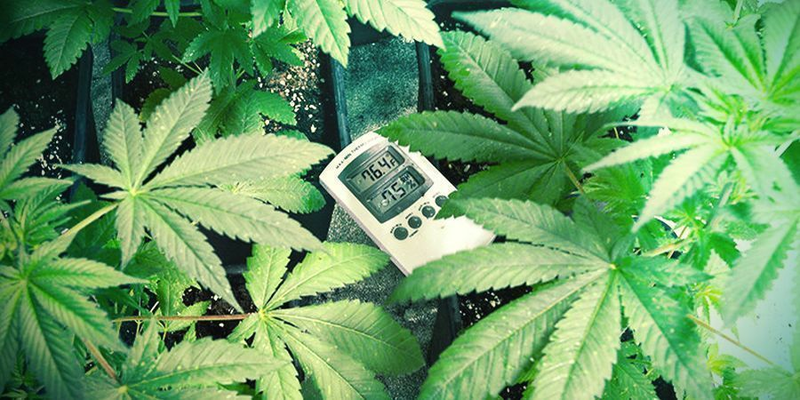 Is it harder to keep a constant temperature in the grow space? A2 – It is not recommended to stop in the winter, but people mostly do the opposite and stop in the summer. The cold is much easier to deal with than heat. 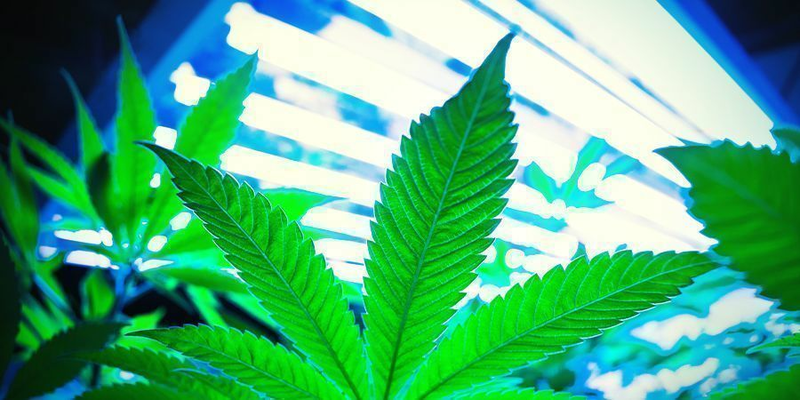 The HPS lighting used indoors is very inefficient, generating more heat than light. You can run the lamps during the night, when it’s the coldest. When it’s light there’s no need for any extra heating, even when you have good ventilation. During the dark period, you can set the ventilation to minimum, a couple of minutes each session just to clear the air moisture. A small electric heater is enough to keep your room at a desired temperature (around 15°C, depending on the sort of plant). In order to make root clones you need a temperature of about 20°C, which is also not difficult. Q3 – Does the strong light from sodium lighting have any effect on the plastic pipes and does it make them brittle over time? A3 – What does have an effect on plastic is the UV spectrum. This section is usually filtered out in a grow lamp. In fact the outermost layer of glass is effectively a UV filter. The lamp will still function when the glass is broken, but would be rather dangerous. I once had a piece of bulb break on me, probably from a defect in the bulb. The hole was at a place that was not easy to spot (who looks directly into an HPS lamp anyway?). I noticed it because in a perfectly marked out section of my garden the plants had turned yellow and died off. So indoors or in a glasshouse, your plastic will last longer than outdoors. Some kinds of plastic have more resilience than others: PVC (polychloride vinyl) ages more quickly than PE (polyethylene) or PP (polypropylene). Choose grow buckets with UV and light protection; they’ll last longer. 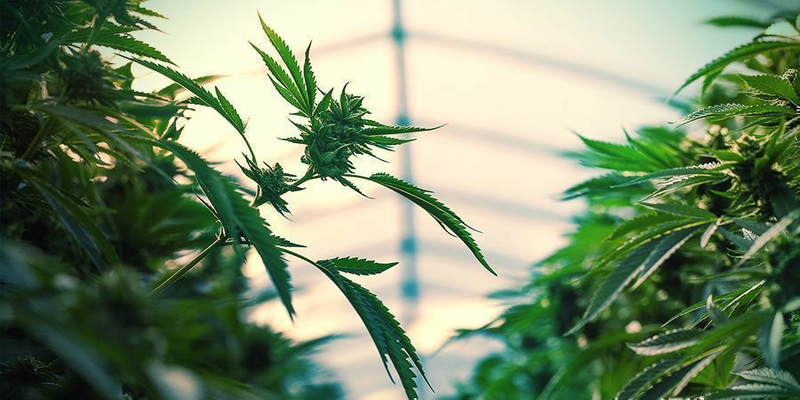 Outdoors, not only is UV completely unfiltered, and that seems to be more and more so, but also the total amount of radiation is enormously higher than from a grow lamp, even if it appears very bright to you. Q4 – The water where I live is very hard. Will this have an effect on my pump thanks to lime scale building up in my hydroponic system? Obviously you want to use a hard water formula plant nutrient with little to no calcium, not for your pump, but for the benefit of your plants, to keep them on a well balanced diet. Now a little of this calcium, as with other elements in the nutrient solution (phosphorus, magnesium…) will form an insoluble compound, mostly carbonate, that builds up in the piping. It is just part of the crud that’s made by the system (dust, dead organic material, etc). You have to protect your pump against all this by using a good filter. Q5 – I grow outdoors in a greenhouse, is it possible to take the plants indoors to force them to bloom? If so, how? A5 – What is usually done is the opposite: grow a plant in the winter indoors in order to put it outdoors in the spring when it’s already grown, and then you get a nice early harvest, mostly followed by a late harvest in the autumn. Most yearlings grown in our region are photoperiodic: that is, their bloom cycle is determined by the quality of the light (in the autumn, thanks to the position of the sun, the light changes to the red end of the spectrum) and the hours of daylight. In fact it is more complicated and the plant is brought in to bloom by the time that she spends in unbroken darkness. You can bring almost any photosynthetic plant in to bloom by giving it 12 hours’ total dark and 12 hours with a grow lamp that has plenty of yellow and red wavelengths, such as sodium bulb. Don’t forget to tailor your nutrient solution with a higher phosphate and magnesium concentration. This will help the bloom.